Hello everyone Jake here and I finally got my switch , I know about time right? but the time has finally come. So one of the greatest things about this game so far is the openness, I love how they immediately throw you into the wild,with nothing everything you get you have to find on your own. Another thing is how well the game is with filling the world with enemies and things to do. For this game so far I'm getting a Skyrim vibes which is good but in fact I think I might enjoy this a little more then Skyrim. Just hear me out I think its just the way the game functions and there is the whole taking it wherever you want to go , that's probably the coolest feature of my switch. 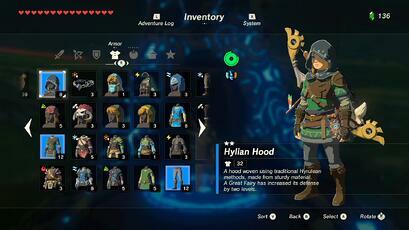 So far I'm like 6-10 hours in and I'm addicted and I have a friend that has all of the Zelda amiibos so I was able to scan and get some of the awesome gear that you cant normally get in the game. 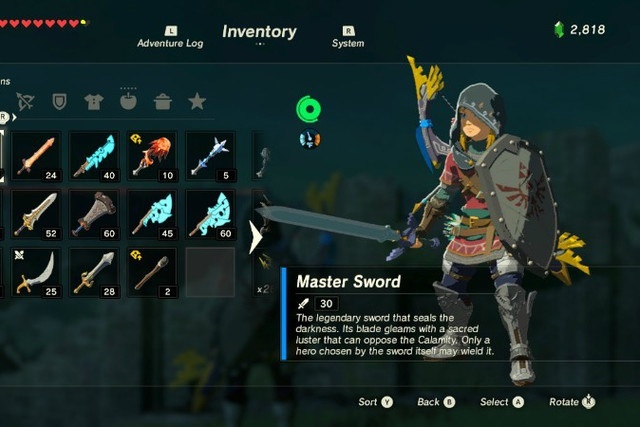 They incorporate armors ,weapons ,and gear from the other Legend of Zelda games which is pretty awesome for fans who have been playing the games growing up. This game does a great way of getting your items , I know a lot of people are complaining about how your weapons break but I think its a great feature just because it gives them more value in the long run. Basically I don't really use any of my good weapons unless I'm battling a boss or stronger enemies. I also think that the weapons,armor variety is great I think its better then Skyrim just and this is because the more the better I don't think Breathe of the Wild has to much nor to little but perfectly balanced. The most important part of this game is they wanted this Zelda to not only be an adventure but YOUR own adventure in this beautiful world that Nintendo has brought to us.